When looking for a cleaning service company in Vancouver, what are the things you should ask? 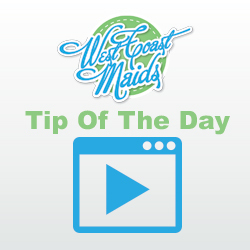 First, make sure the company uses environmentally safe cleaning products. You want to make sure they aren’t using harsh cleaners that not only have strong odours, but don’t wreak havoc on the environment. Second, make sure they are bonded and insured, You don’t want cleaners with a criminal record coming into your home with access to all your belongings when you’re not home. Also make sure they have insurance incase something unexpected happens. Also, cleaning companies that are bonded and insured tend to be more credible and more likely to deliver a higher quality service. Lastly, make sure they give free house cleaning estimates. Companies that do typically pride themselves on the quality of work and understand the power of referrals and don’t use estimates as a way to raise money.